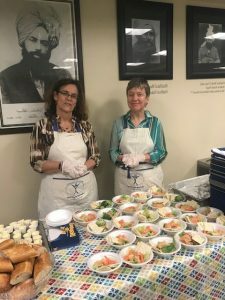 Members of the Exchange Club volunteered at the Fazl i Umar Mosque on 637 Randolph St. on May 17 to help feed the hungry. This mosque belongs to the Ahmadiyya Muslim Community Dayton of which current president Khadijah Ali, Bushra and Abdul Shahid are members. 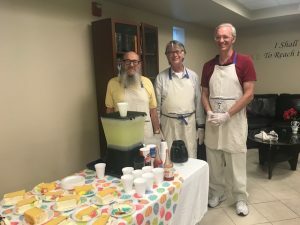 The mosque has been providing food to the homeless and needy since May 2017. 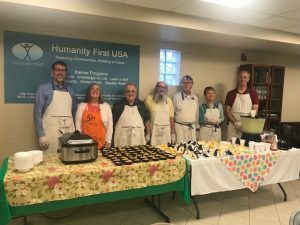 Exchangites fed around 77 meals that day serving the drinks, passing out salads, desserts and coffee.